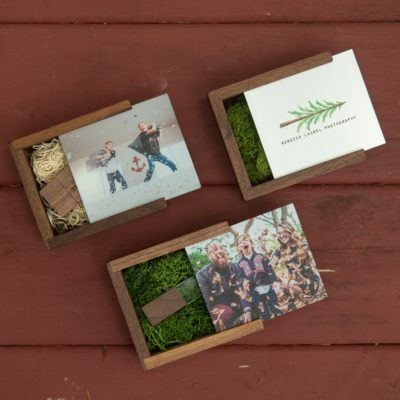 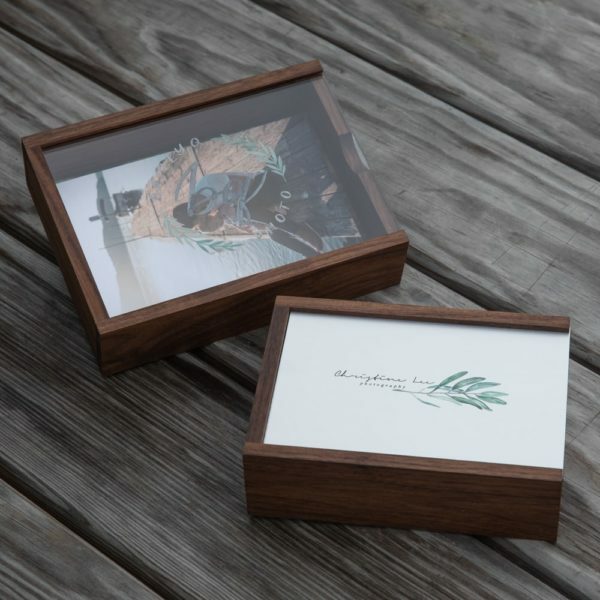 Your prints will sing when placed next to the beautifully hand-made in the USA premium Walnut Wood Slide Photo Box. 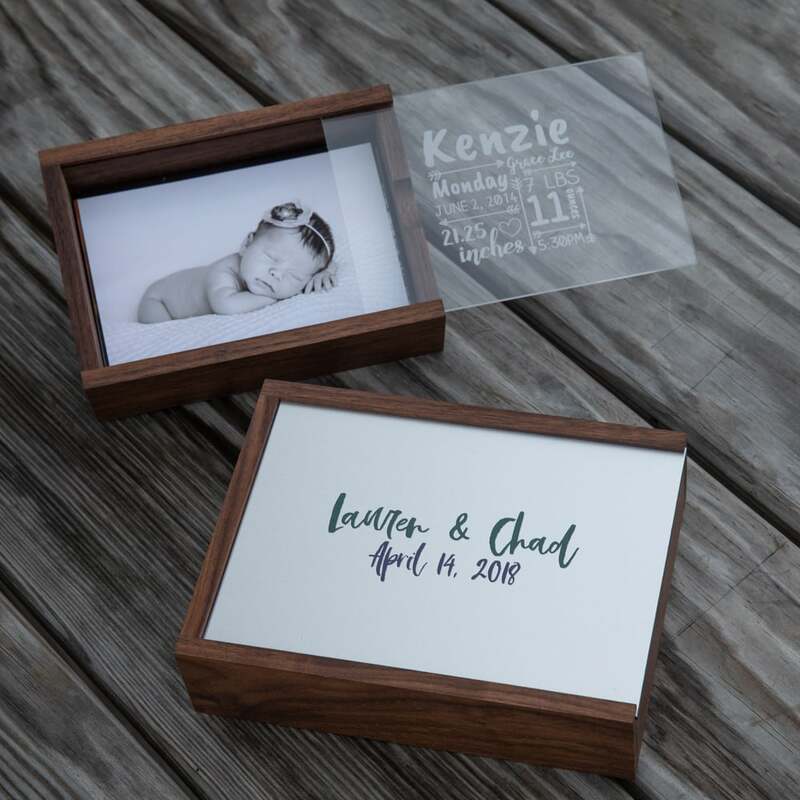 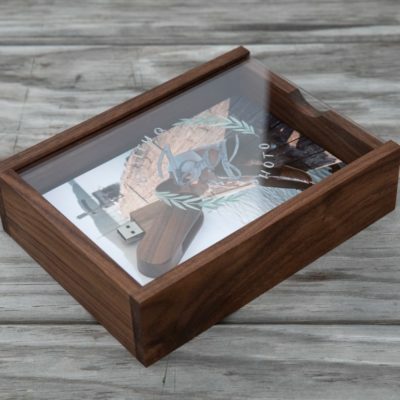 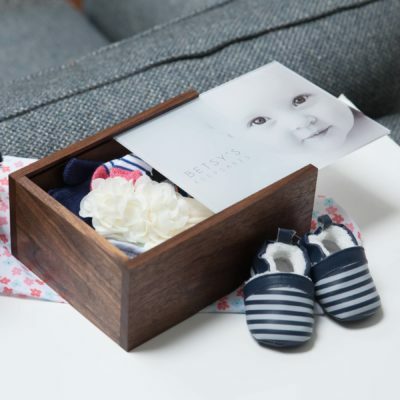 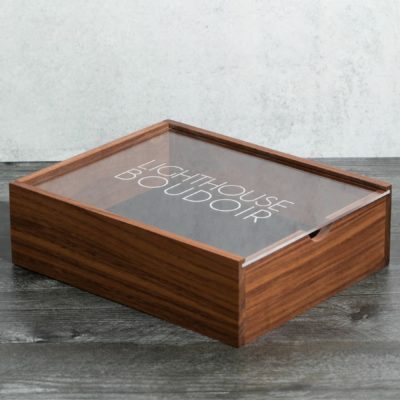 The attention to detail and care you put into making your client’s prints perfect will be rewarded when they are placed inside our hand-made in the USA premium Walnut Wood Slide Photo Box. 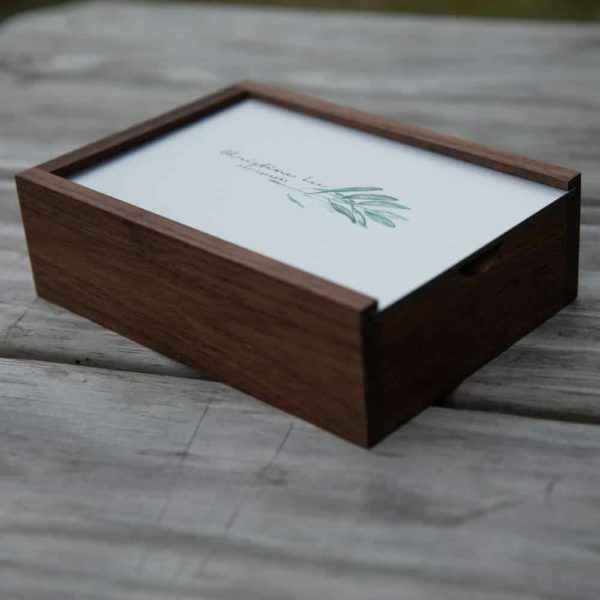 Smooth, solid, premium wood. 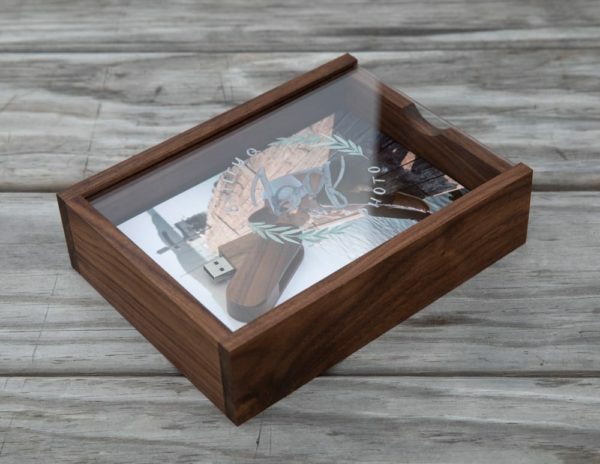 Natural walnut wood color. The beauty of the natural world is on full display from the second your clients receive this impressive walnut wood slide print box. But once the removable, fully customizable, metal or clear acrylic lid is slid all the way off, revealing your client’s prints, the mastery of your artform takes center stage. 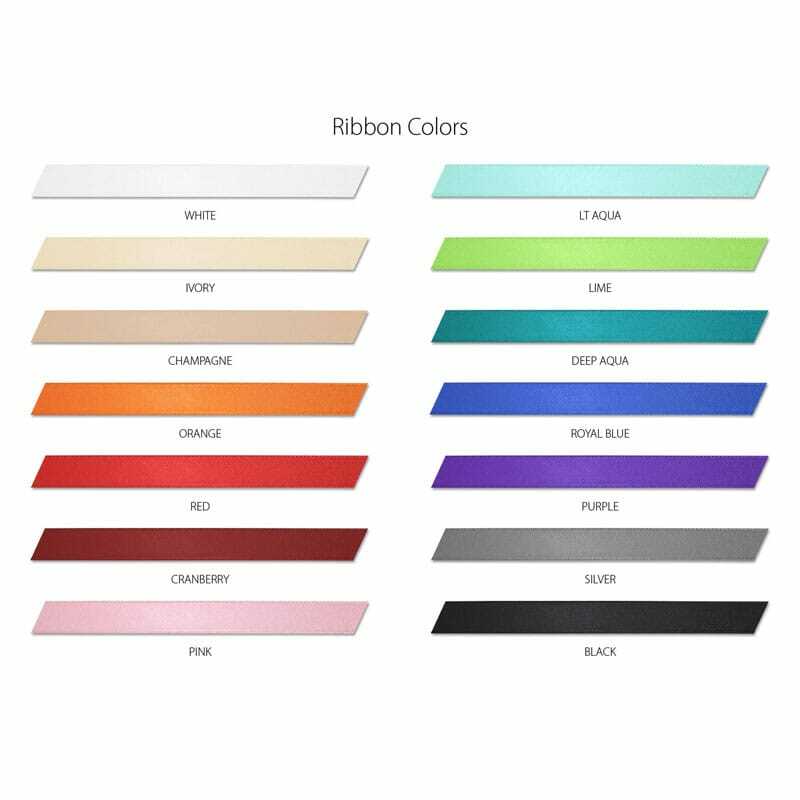 Currently available to accommodate 4×6 and 5×7 print sizes, each box includes a length of ribbon (your choice of color) to be used to bundle the prints together making it easy to remove them as a group.